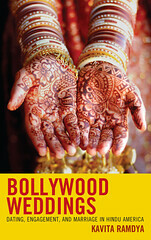 Click here to read a review of “Bollywood Weddings” in Suhaag. Click here to read “Love-infused friendship“, my V-Day personal essay in “The Washington Post” where I describe learning about love from watching my dad and his best friend of forty-plus years interact during a weekend visit to London. While I feel lucky to have friendships approaching twenty years, I recently had the opportunity to observe and understand the nature of friendship from what seemed to me the most unlikely person: my father. Whereas I liked to think that my parents visited London to see their daughter and son-in-law’s new home, it quickly became apparent that, for my dad, spending time with his best friend since college was equally as important. “Uncle,” as I was raised to call him, is both my dad’s doppelganger and antithesis. Whereas my dad’s daily reading comprises of personal finance magazines and stock prices, my uncle’s brain food is Aristotle and he regularly practices yoga. In London, I witnessed the delight on my dad’s face when he surprised his best friend with a cake to celebrate his 65th birthday and recent retirement. I saw them pair off and admire the cars inside the Bentley show room, point at the luxury gloves while we window shopped in Burlington Arcade, view modern sculpture in the Haunch of Venison, and stroll through Covent Garden while their wives huddled and gossiped not more than a few feet behind. I took my cue and snapped candid shots of the four simply enjoying each other’s company. The January winter air was cool and the streets crowded, but I suddenly recognized the safe and secure bubble we create when we spend time with friends wherever in the world we are when we’re with them. Perhaps the earliest predecessor of self-help bestseller “Chicken Soup for the Soul” and the recently-emerged yet already-omnipresent genre happiness studies, is Solomon, the King of Israel and son of David’s, collection of proverbs. The venerated author of “Wisdom Literature” left a bevy of life lessons that would aid generations in transcending petty and often-times self-destructive thoughts and patterns. Along with addressing the significance of keeping one’s integrity intact and reminding us of the fleeting nature of wealth, King Solomon’s most popular and oft-quoted proverb is “A friend loveth at all times, and a brother is born for adversity” (17:17). Yet, despite the bevy of stories describing often times life-saving alliances in the Bible (David’s with Saul’s son Jonathan; Peter and Paul, united by their love for Jesus), the Western world’s greatest source for culture and morality tales has not inspired the modern world an occasion to celebrate one of life’s most simple, ancient and emotionally-gratifying routes towards happiness: friendship. Whereas romantic love is the only opportunity in most of our pedestrian lives for the possibility of ever glimpsing transcendence when in the throes of passion, friendship inspires the opposite. In passionate love, one is elated and senses are acute; in friendship, one immediately feels relaxed in the otherwise overly-stimulating modern world. Emotional tokens such as heart-shaped platinum charms, chocolate-heart lollipops, or a warm-weather getaway don’t have a place in friendship where the only reciprocity expected are time and empathy. My father is no longer a young man. But while spending a week with his closest friend, my father’s face revived a quality of youth I’d never seen before or, more likely, carelessly overlooked. As a result of a heavily-air conditioned flight followed by arriving in London on a particularly frigid and rainy day in January, even by UK standards, my dad quickly developed a cold, as ubiquitous for travelers in England as “Deli Belly” in India or “Pharaoh’s Revenge” in Egypt. While guiding the four around central London, we stopped by Fortnum & Mason where my charges were enthralled with the store’s collection of international teas. After sniffing and commenting on various tea leaves on display, we realized we “lost” my Uncle who had disappeared into the abyss that is the UK’s greatest luxury-food store. Debating whether we should call his cell phone, Uncle suddenly emerged carrying an F&M shopping bag the same baby-blue hue that signals that best of what luxury has to offer in the states, Tiffany’s jewelry.